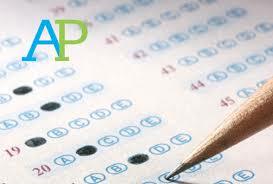 I will be taking orders for this year's AP testing from now until Feb. 15. Please contact me ASAP to let me know you intend to sign up and which test you intend to take. If it isn't a test I am offering this year, I can help you find an alternative location. The cost for each test this year is $104. All money is due by March 1st to enable me to order the tests. Please contact Brandy Dahlen if you need further information or have additional questions please contact Brandy Dahlen at bldahlen@aol.com. All AP tests are all offered the first 2 weeks of May. The specific date will depend on which test the student wants to take. I offer tests at the Church at Shelby Crossings.